and some that we still want to do. Make an outdoor game board. 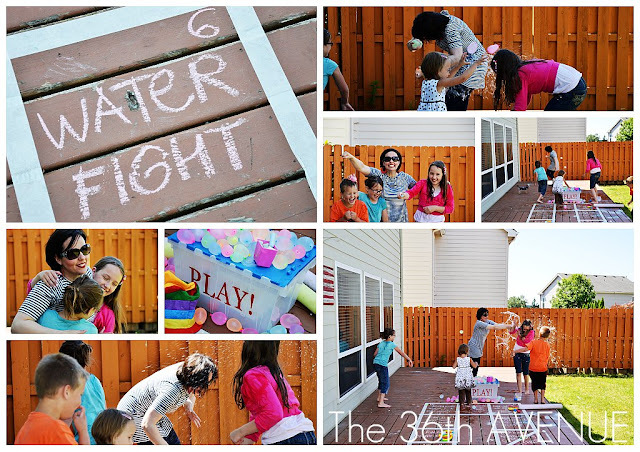 We got to play, got wet and laughed so hard! Click here for more info about this project. 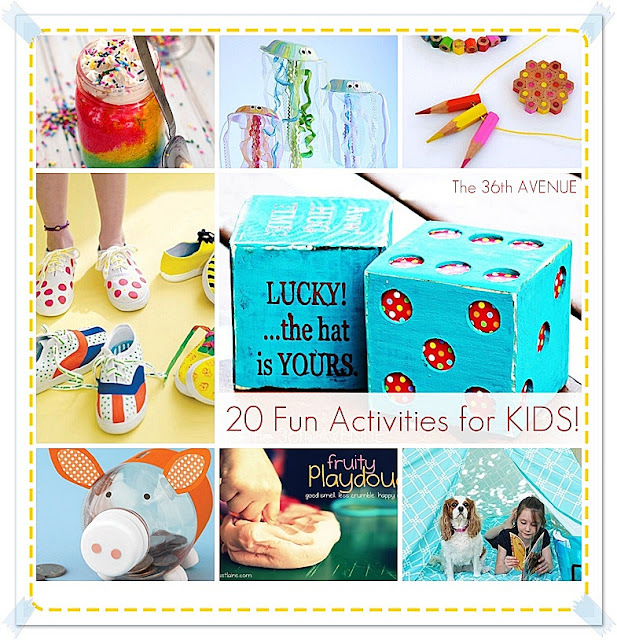 is packed with projects, recipes, crafts and games that any kid big or small will enjoy! 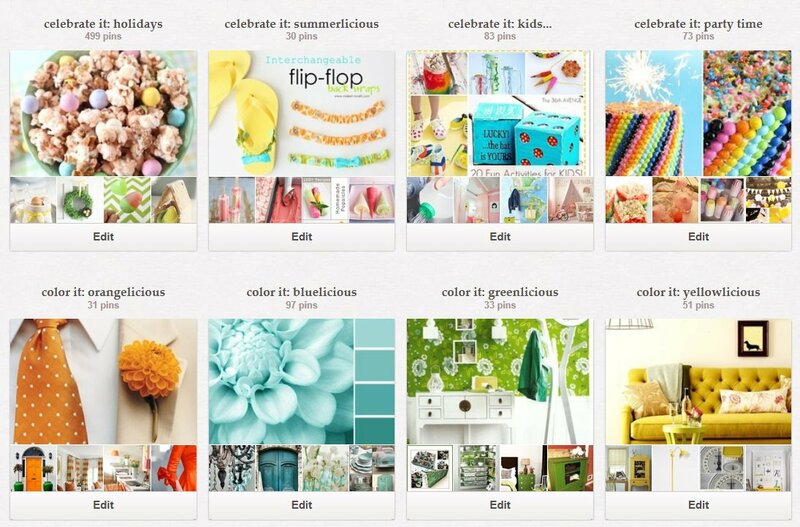 Celebrate: Kids Pinterest Board HERE. You’ll find some additional activities there. Have a SUPER fun weekend! That is a terrific idea! 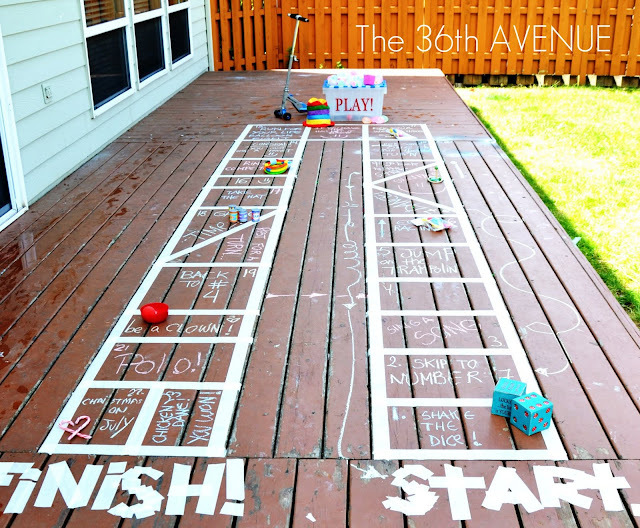 I can see myself making one, even if it is only chalked on for a day with family or a bbq with friends.